Lawrence Ryan was born in 1971 in the small rural town of Junee New South Wales. He is one of five siblings the youngest and the only boy of Reginald and Olive Ryan. Father Reginald can recall Lawrence wanting to be a stuntman from the early age of three years old and he never changed his mind. As like most kids growing up in the 1970s Lawrence spent a lot of his time outside playing cowboys and Indians with his only limitation being his imagination, other time was spent riding his BMX bike and making makeshift ramps to hurl himself and bike over any obstacle he could find. Lawrence didn’t grow up in a normal home with his parents but in Australia’s most haunted homestead “Monte Cristo” which was purchased by his father in 1963. “I was born to risk my life and entertain people, not much scares me, Hey I grew up in a haunted house” Lawrence Legend. 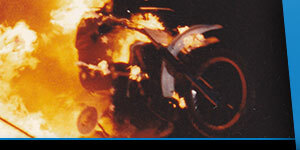 After leaving school in 1987 Lawrence set about forming his stunt business Lawrence Legend Enterprises in 1989 and launched his career as a professional stunt performer. Lawrence grew up knowing that all he ever wanted to be was a Stuntman. Now Lawrence Legend is Australia best known and respected stuntman with countless Australian records, World records and Guinness World records to his name. With over 20 years experience Lawrence has crash, bashed and flown into the record books and been seen by millions World wide. Lawrence performs all over Australia at Agricultural Shows & charity events jumping over amazing obstacles, from trucks to planes and even people. His spectacular stunts have been shown in over 32 countries and on prime T.V. in the U.S.A. home of the all American Daredevil. 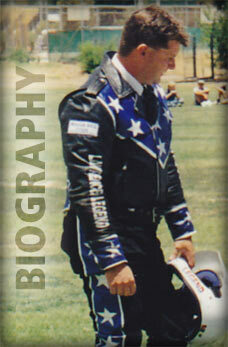 Lawrence presents himself in a well spoken manner and clean cut look doing hundreds of T.V & radio interviews with no trouble talking to large audiences about his love for stunt jumping, making him a draw card for T.V. and radio. During his career Lawrence has received many awards and certificates of appreciation for work with various charities and organisations. Lawrence has also appeared in countless magazines. 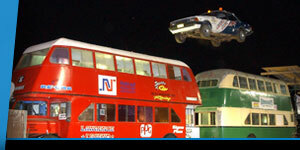 Lawrence’s stunt career has spanned over 25 years and is still going strong with many more exciting leaps to come. Lawrence brings an excitement to any show or interview appealing to all ages and interests.